Now, you can get paid for all Medicare services your organization provides with real-time “always on” claims processing from anywhere at any time. Automated processing of all Medicare claims in real-time from anywhere at anytime ensures your claims get processed immediately and you get paid faster. 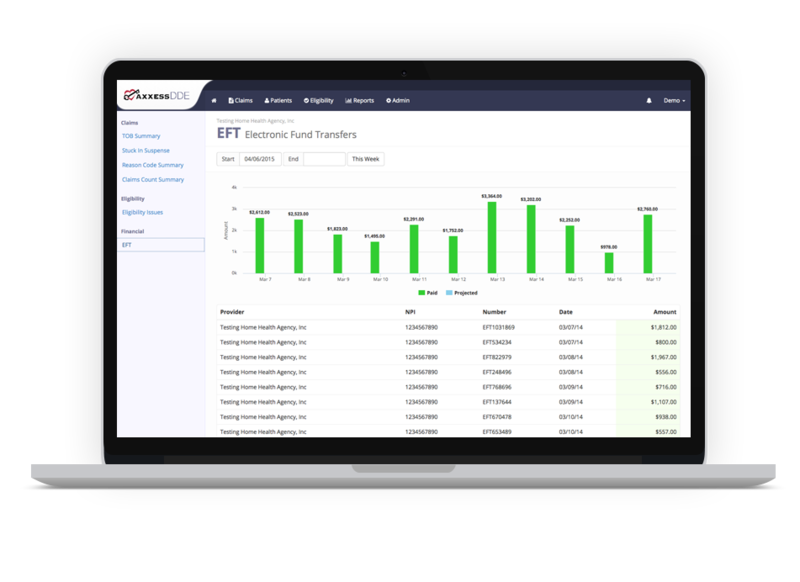 Diversify your revenue sources and improve your cash flow with our automated, anywhere, anytime claims processing with complete visibility to all your electronic funds transfers (EFT) and payment projections. No software to install. Our easy and convenient access empowers you to process claims in real-time, from anywhere at any time, grow your revenue and get paid faster. 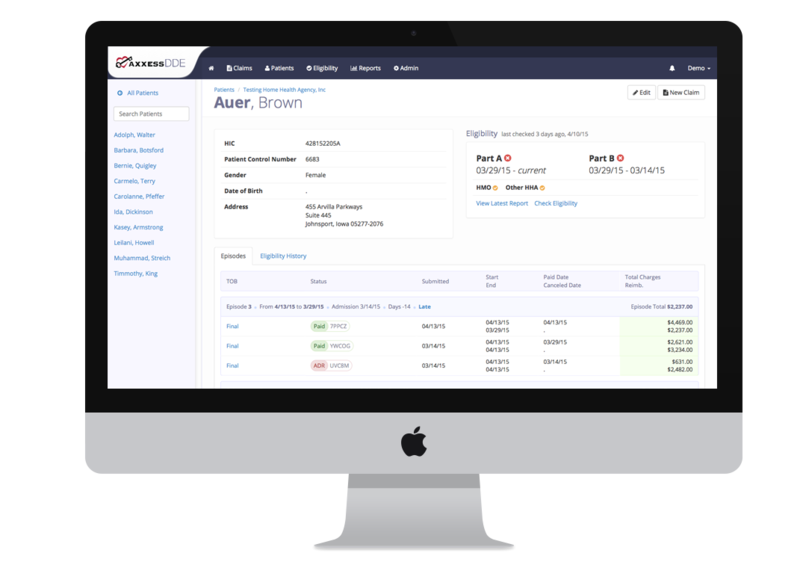 Process, track and fix claims in real time to capture all your revenue while eliminating costly time-consuming processes. Automate Medicare eligibility verification and claims processing. Process individual or Batch Medicare eligibility verifications securely with detailed coverage information including care episodes by other providers and much more. 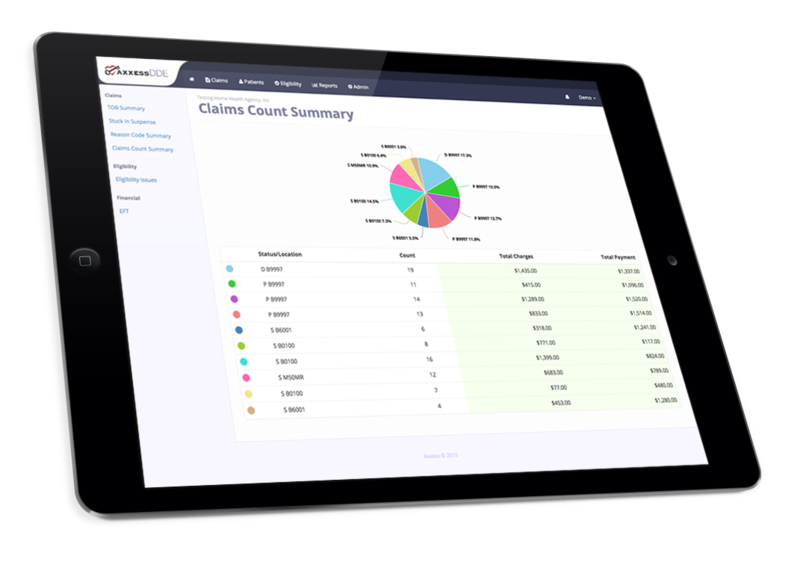 Simple, yet powerful intuitive interface takes the stress out of claims management. 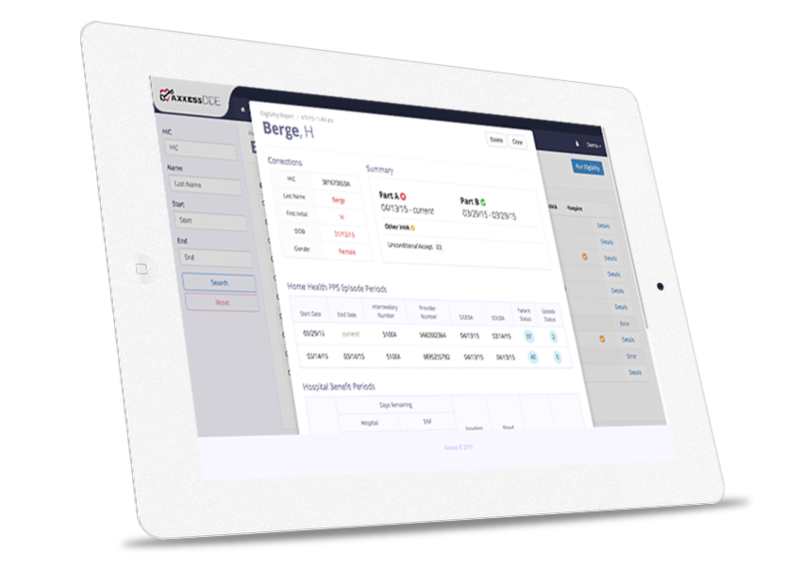 Our robust dashboards give you control over your revenue sources. With flexible plans, you can customize our powerful Revenue Cycle Management solutions to fit your needs. From single to unlimited users, you can grow your business worry free and accelerate your reimbursements. Our cloud-based solution is secure, HIPAA compliant and fully encrypted with redundant data storage and backup with automatic updates, upgrades and upgrades so you can grow your business from anywhere at any time. Our automated Revenue Cycle Management solution automates your claims processing so that you can do more with less and focus on growing your business. With our real-time, anytime claims processing your organization will get paid faster, improve cash flow, increase productivity and eliminate revenue loss. Automate Medicare eligibility verification and obtain real-time Eligibility Status. Process individual or Batch Medicare eligibility verifications securely with detailed coverage information.